The Westcountry’s longest running Balloon Fiesta is back for 2011! Aerosaurus Balloons is once again proud to be part of the renowned Westcountry Balloon Fiesta, this year on September 3rd and 4th in Tavistock, Devon. A stunning display of over thirty balloons will be flying over the West Devon and East Cornwall countryside throughout the weekend, and you can be part of this magical experience by flying with Aerosaurus Balloons at the festival (weather permitting). Visitors to the Fiesta will get to see hot air balloons up close with activities such as balloon tethering, public interaction sessions, and an opportunity to meet the pilots. A spectacular ‘night glow’, where balloons light up like giant light bulbs to the sound of music, will take place on Saturday night – a sight not to be missed! Hot food, local ice cream, a licensed bar, and live music complete this great day out for all the family. To purchase your festival flight voucher book online or give us a call on 01404 823102. All profits from the event go to local and regional charities supported by the event organisers, the Lions Club of Tavistock and the Tavistock Round Table. For the latest festival information visit http://www.westcountryballoons.com, or follow the festival on Twitter (@wcballoonfiesta). 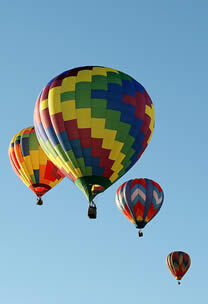 We just found these articles in our Ballooning Blog archive. Feel free to have a read.